I’m blessed. I have three children, born early 1986, late 1991, mid 1998. There is so much I learn from them. My daughter, the eldest, told me all about Facebook in 2004, and even became my first friend there after I received an invite from Dave Morin, now at Path. Before that I’d done things like watch her converse across multiple MSN Messenger channels in parallel (forcing me to have Microsoft in an Apple-only house! ), seemingly while doing her homework and while watching television. It reminded me of the time she was just a few years old, watching TV while reading while eating while playing with toys. I would gently walk over to the TV with the intention of switching it off, only to be stopped by a plaintive “Dad, I’m still watching it”. She was three when the web was written about, five when it became real. And it was a joy to learn about the web through her eyes, the sites she visited, the sites she knew about, the tools she used and why. She was about 14 when she got her first mobile phone, to give you an idea of how long ago it was. Imagine a 13 year old without a mobile phone now. And SMS was in her DNA, all the way from the start. [While I can’t take credit for it, I do love the definition: “A teenager is someone who can send a text message without taking her phone out of her pocket“]. She was extolling the powers of eBay and YouTube to me before she was old enough to have a credit card. And her choices of phone were (in chronological order) Nokia, Motorola and Samsung. She now has an iPhone. She’s now a schoolteacher, and it’s a real privilege for me to learn, by watching her and talking to her, how teachers use the web to build their class and course plans and material. A few weeks ago, when she was visiting us, I had the chance to observe her at work in the living room, preparing her material while the TV was on in the background, and it all came flooding back. Next up was my son, who was less about Facebook and more about Bebo, as social networking did its Benjamin Button thing and went younger. And skateboarding. And cameras. So the sites he took me to were different: it was through him that I discovered places like daily dose of imagery and metacritic, as examples. His first phone turned up when he was about 12, and his choices were different. Nokia to begin with, Samsung soon after (influenced by camera quality), and then settling with the Nexus One. Android is very important to him. And then came my youngest, and she introduced me to stuff like Stardoll and Club Penguin, as social networking went younger still. This had its dark side: as the age by which children engaged with such technologies dropped, there appeared to be an unwelcome consequence, that of increased cyber-bullying. So my wife and I found ourselves having to learn about the dangers of formspring and “underage” facebook, a hard time to be parenting. Nothing in our past prepared us for the environment; yet we had two advantages, the older children, there to advise and guide us while not interfering or participating themselves. Parenting was our job, not theirs. During their lifetimes I have seen the fat TV disappear completely, the CD become a shiny plastic relic to place in the same category as “desktops”, the mobile phone become a prosthetic device, and the laptop a fashion accessory. Their facility with sound and picture and video, the ease with which they navigate cyberspace, the way they put all this to use and create value from it….. all reasons to make a dad’s heart sing. Of course I’ve had to learn about how to help them combat fraud, how to avoid going to the wrong sites, how to protect their privacy. But largely they’re the ones doing the learning and the teaching, not me. Except for one or two things. Many children seem to believe that printers get cartridges replaced and paper restocked the same way clothes fly off floors, get washed and ironed and turn up in their bedroom wardrobes. Something needs to be done about this. But that’s a different post. Where was I? Oh yes, learning from my children. Today my son came to me to tell me about the latest Radiohead album, and to ask whether we can order it. Global releases. Simultaneous releases. None of the cowpath-paving regional carving-up of territories or times. All formats in one bundle, without the evil of salami-slice torture thrown in. A distribution process that is in keeping with the modern world, all designed and executed by people who appear to have read Kevin Kelly’s fantastic essay Better Than Free and, more importantly, appear to have understood it and taken it to heart. Of course there were, and continue to be, glitches. The site was too busy to take the load 14 minutes after the announcement of the album, brought to me by my son quoting Pitchfork. My order wasn’t going through, I was getting a false “decline”. But there was a way to ask for help, an email address. Which I wrote to. And got a reply forthwith saying that the site was very busy, the “decline” was likely to be a function of that volume, and that I should try again in a few hours. Which I did. Successfully. I’m not a fan of cookies, and bristled at being told “in order to buy any product you must have cookies enabled”. But I could live with it, in the expectation that things will get better. I had to pretend that I lived in China, just to see what happened. Nothing. If I clicked there I went precisely nowhere. Everything just went quiet. Ominous. The £3 price differential between MP3 and WAV was enough for me to feel “why don’t you include the MP3 in your WAV bundle then?”. But I didn’t make a big deal of it. 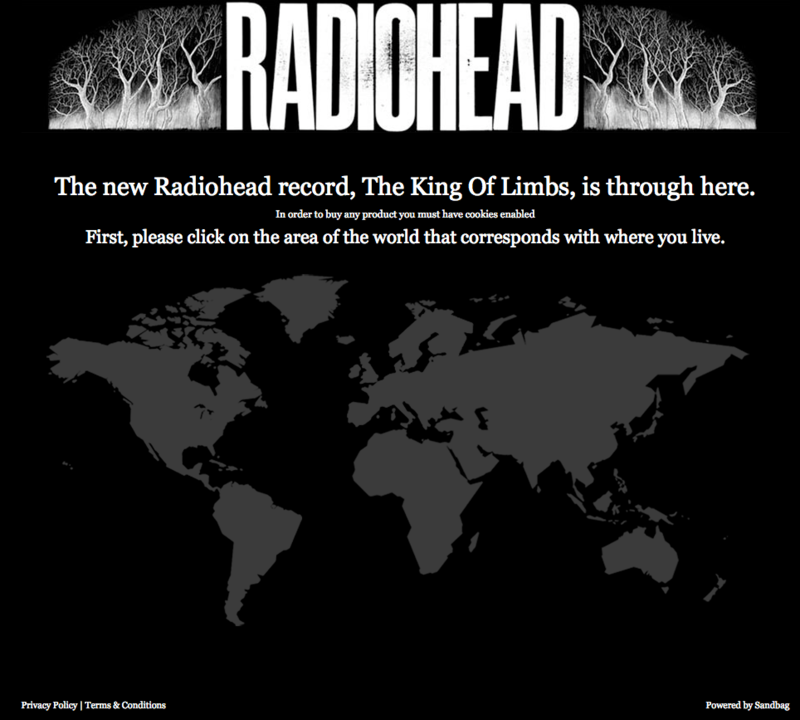 Radiohead have done so many things right in this venture that I can live with the rest. Not perfect, but continuing, positive proof that there’s a better way to improve the music business than the nonsense engaged in by people like BPI and RIAA. I hope Radiohead break the record for money collected on pre-order for this album. Pour encourager les autres. It will show others what is possible, following on from the brilliant work done by people like Nine Inch Nails, and for that matter, Radiohead themselves, earlier with In Rainbows. Does the Web make experts dumb? Part 2: Who’s The Teacher? I try and make a point of looking for the good in people; I try and make a point of looking for the good in situations; I try and make a point of looking for the good in outlook and expectation. Those traits in me make some people believe that I’m a wild-eyed optimist, whatever the truth might be; this is particularly true of people who tend to believe that two and two make five, who are quick to draw conclusions on superficial evidence. Against this backdrop, factor in the following: I was born in the ’50s, grew up in the ’60s and early ’70s. I cite Jerry Garcia, Stewart Brand and Lewis Hyde as early influences (people did read in the ’60s and ’70s); I learnt to dance to Bob Dylan and Leonard Cohen (it’s harder than it sounds); I love spending time in San Francisco; and I call myself a retired hippie. So some people think I’m a pinko lefty treehugging wild-eyed optimist. In short, a Utopian. And you can’t blame them. Which is why, when I make assertions like I did last night: suggesting that the Web actually reduces barriers to entry when it comes to “expertise”, and that traditional experts (myself included) are becoming less scarce, less distinctive, less “valuable”: I need to back up the assertions with some concrete evidence rather than just theory. Which is what I intend to do tonight. I want to point you towards evidence of the Great Leveller status of the internet. Some evidence I found intriguing at first, compelling as I got into it, and finally inspiring. 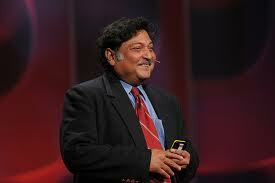 So let me tell you the story of Sugata Mitra, polymath, professor, chief scientist emeritus. A man with an incredible vision and the willingness to do something about it. He speaks English and Bengali, a little German, spent time in Calcutta, works with computers and is passionate about education. So maybe I’m a little biased. Bear with me. Professor Mitra is responsible for introducing me (and a gazillion others) to the concept of Minimally Invasive Education or MIE. In simple terms, over a decade ago, he ran an experiment called Hole In the Wall which took PCs and stuck them in walls in slums, with no explanation or instruction. And watched as children learnt. Some of you must be thinking, he must have gotten lucky, a flash in the pan. Yes. Eleven years later. Nine countries later. 300 Holes-In-The-Wall later. 300,000 students later. You could say he got lucky. I prefer to think he called it right. I was privileged to hear Professor Mitra at TED, and to shake his hand. I have had an instinctive and long-seated belief in the incredible potential of humanity, and hearing his story reinforced my belief. You can find his TED talks here and here. One of my favourite practitioners and writers on leadership, Max De Pree, characterised leaders as people who do just two things: set strategy and direction and say thank you. In between those two things, he said leaders are servants and debtors. Since reading some of his works in the late 1980s, I’ve considered “getting out of the way” to be an essential component of good leadership. If you ever wanted rebuttals to abominations like the Bell Curve; if you ever wanted refutations to arguments about the web making us dumber; if you ever wanted evidence to challenge assertions about the cult of the amateur; then look no further than Sugata Mitra’s research. Thank you Professor Mitra. And thank you TED, particularly Chris Anderson and Bruno Guissani for bringing Professor Mitra to my attention and then giving me the chance to meet him. All teachers are learners. All learners are teachers. Teachers and learners are not just passionately curious a la Einstein; they want to see everyone discover their potential, achieve it and improve upon it. Stories like Sugata Mitra’s inspire me. They make me believe that battles to ensure ubiquitous affordable connectivity are worth while; they make me believe that wars to eradicate inappropriate IPR are worth while; they make me believe that the Digital Divide can be avoided. They remind me of the incredible potential every child represents. The incredible responsibility every parent, every teacher, every human has towards generations to come. The critical value of education in that context. So if people want to believe the internet dumbs people down, fine. That’s their choice, and I don’t have to agree with them. It will not stop me wanting to use the internet to level the playing field, to help ensure that access to information, to knowledge, to wisdom is not the birthright of the privileged few alone. Another data point. Last year I spent some time in Italy with my family (it was our 25th wedding anniversary, and we took the children to Sorrento, where we’d honeymooned in 1984). And we went to Pompeii. Where we met a fantastic guide called Mario. Who was 65 years old, a real expert. And he was stopping working for a while. Going back to school. Because the web had reduced the value of his expertise. The problem, the weakening of the value of “expertise”, is instructive. His response, to go back to school at 65, is even more instructive. You can read all about it here, in a post I wrote at the time. Author JPPosted on August 23, 2010 Categories DRM and IPR, Education, Generation M, leadership, Servant Leadership, Stupidity11 Comments on Does the Web make experts dumb? Part 2: Who’s The Teacher? Does the web make experts dumb? For information to have power, it needs to be held asymmetrically. Preferably very very asymmetrically. Someone who knows something that others do not know can do something potentially useful and profitable with that information. Information can be asymmetric in a number of ways. The first, and simplest, is asymmetry-in-access. If you can make sure that no one else has access to information that you have access to, if you’re in a position to deny others access to the information, then you can do something useful with it. In the old days this was called keeping a secret. Keeping something secret is not wrong per se. But if that secret is privileged information, there are many things you cannot do with it. Like trade on it. Or blackmail someone as a result of it. Nevertheless, for centuries, people have made money by having asymmetric access to information. And for the most part they’ve done it legally. A second form of asymmetry is in effect a special case of asymmetry-in-access: asymmetry-in-creation. If you create/originate the information in question, then it is possible to prevent anyone else from knowing it. All you have to do is make sure that you don’t tell anyone. Kenny Dalglish, while managing Liverpool in the mid-to-late 1980s, was asked how he’d managed to keep Ian Rush’s return from Juventus a secret. In answer he said ‘It was simple. I didn’t tell anyone”. If you choose not to share something you’ve created, then you are in a position to be the only person in the world to enjoy it. Take a work of art or music or literature. As creator, you can choose to share whatever you’ve created with nobody; with just one person; with just a few people; the choice is yours. And you can charge for this access. Some people may think you’re being selfish, some people may consider you “sad” as a result, but you have every right. What you’re doing is legal. You’re protecting the scarce nature of what you’ve created, and seeking to exploit that scarcity. For centuries people have made money out of creating unique things, scarce things, and then charging others when they want access or ownership. A third form of asymmetry is really a derivative form, where the information is itself not of much use without some way of comprehending it, parsing it, interpreting it: asymmetry-in-education. Equality in educational rights may be a much-vaunted goal, but it’s not there. Equality of opportunity continues to be mandated, and may well happen in your lifetime. Equality of outcome cannot be legislated. Asymmetry-in-education has therefore continued to persist despite the efforts of well-meaning people over the past century or so. This form of asymmetry has been exploited by experts in many guises: doctors, lawyers, priests, even IT consultants. And their theme song is simple. “You didn’t have to work as hard as I did to know what I know. It’s complex, you won’t understand it.”. In many cases, this situation was exacerbated by the use of foreign languages, preferably dead foreign languages. And, just in case that wasn’t enough, the smoke and mirrors of specialist terminology, jargon, abbreviation and convention was used to obfuscate the environment. For millennia experts have exploited this asymmetry and wielded power and amassed wealth as a result. There is a fourth, and final, form of asymmetry: asymmetry-by-design. This is where you take something that is essentially abundant and, through fair means or foul, get it redefined as scarce. Most implementations of Digital Rights Management are attempts to create asymmetric access, make something scarce by design. At a level of abstraction, iPhone and Android apps are essentially the same thing in disguise: thinly-veiled attempts to make abundant things scarce. Creating artificial scarcity out of something that is essentially abundant is also not wrong per se. But there can be legal and moral implications. Building a dam near the source of a river and charging people for access to the water may sound reasonable; on the other hand, there may be strong grounds for “grandfathered” rights to that water. Society, through the ages, has seen fit to protect the view (as in “ancient lights”), walks (as in ramblers’ rights) and even open spaces (as in commons). Asymmetry in access. Asymmetry in creation. Asymmetry in education. Asymmetry by design. Asymmetries all of them. Asymmetries that allowed people to wield power and to amass wealth. For the most part legally. Then, along comes the internet. Along comes the Web. The world’s biggest copy machine, as Kevin Kelly reminded us. Suddenly asymmetry of access was weakened, holed amidships below the waterline. One of the nicest things about the web is that it levels the playing field for access. 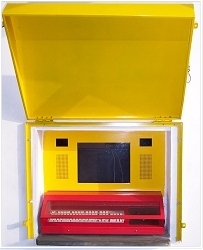 More accurately, it is capable of levelling the playing field for access. And it is for this reason that “net neutrality” arguments tend to get most heated where there isn’t any true competition for access. Given real transparency and real competition for access, there would not be a need for legislation. Copying machines are not designed to make things scarce. As a result, anything made available on the internet was relatively easy to copy. Which in turn meant that anything that was expressed as a digital object was difficult to make scarce. Many many industries have made money for many many years on the basis of relative scarcity; their concepts of pricing were based on scarcity models. So they tried to make the inherent abundance of the internet into something scarcer by using DRM or its more sophisticated new form, the App. This approach, asymmetry-by-creation, and its alter ego, asymmetry-by-design, are about creating artificial scarcity. This is fundamentally doomed. I’ve said it many times. Every artificial scarcity will be met by an equal and opposite artificial abundance. And, over time, the abundance will win. There will always be more people choosing to find ways to undo DRM than people employed in the DRM-implementing sector. Always. So when people create walled-garden paid apps, others will create unpaid apps that get to the same material. It’s only a matter of time. Because every attempt at building dams and filters on the internet is seen as pollution by the volunteers. It’s not about the money, it’s about the principle. No pollutants. Which brings me to the reason for this post. There’s been a lot of talk about the web and the internet making us dumber. I think it’s more serious than that. What the web does is reduce the capacity for asymmetry in education. Which in turn undermines the exalted status of the expert. The web makes experts “dumb”. By reducing the privileged nature of their expertise. I have three children born since 1986. One has finished her Master’s and is now a teacher. One has just finished his A Levels and is taking a “gap year” before starting university in a year’s time. The third is still in school. The web has made them smarter. They know things I did not know at their age, and I had privileged upbringing and access. They know things more deeply than I did. Their interest in things analog is unabated, they think of the web as an AND to their analog lives rather than an OR. We should rejoice that access to the things that made us experts is now getting easier, cheaper and more universal. We should rejoice that generations to come will out-expert us in every field we care to name. We should rejoice that we continue to enter a world where the economics of abundance is displacing the economics of scarcity. We should rise up every time there is an attempt to pollute the path of open access. The web is not making us dumb. It is the expert in us that is being made to look dumb. And that is a Good Thing. Views? Comments? I suspect this post might attract a few flames…. Author JPPosted on August 22, 2010 August 22, 2010 Categories Because Effect, DRM and IPR, Education, Generation M, Maker Generation, Stupidity35 Comments on Does the web make experts dumb? Some of us see forks and wonder which road to take. Others see a single road. Generations like mine view the digital world as distinct and separate from the analog world. Those that are born digital don’t know the difference, they live integrated hybrid lives. It’s not just technology that’s changing, the more important changes are in culture and values. Unless we understand the value sets and perceptions of the coming generation, we’re not going to have any idea how to proceed. This understanding is critical to a number of decisions facing us now and in the near future, about identity, privacy and confidentiality, intellectual property, the very internet itself. We face these decisions as individuals, parents and teachers, firms, even governments. We face these decisions in policy making, in regulation, in legislation, both locally as well as globally. The consequences of getting these decisions wrong are significant. It’s not just about throwing away value, not just about wasting or delaying potential. It’s about losing touch with a generation that mankind can ill afford to ignore. The issue of the digital divide is also not going to go away. So when we work on these solutions, we need to keep making sure that the inclusiveness is protected, the inclusiveness that is an integral part of the digital native value set. Time is not on our side. The pace of change is escalating, and escalating fast. We need to prepare for action, informed action. The book helps us do that. These issues are discussed in depth, fairly and objectively. Importantly, they are discussed from a standpoint of evidence rather than pure theory. The book also does all of us a big favour by having a comprehensive bibliography. There are going to be a lot of books about the digital natives; books from a variety of perspectives, written in a variety of styles, written to a variety of standards. What Born Digital does is to provide us a benchmark, a yardstick, a reference point for all that follows. My thanks to the authors. I loved it. And I suggest you stop whatever you’re doing and read it, now. Everything I knew about the structure of information convinced me that knowledge would not spontaneously emerge from data, without a lot of energy and intelligence deliberately directed to transforming it. All the attempts at headless collective writing I had been involved with in the past only generated forgettable trash. Why would anything online be any different? How wrong I was. The success of the Wikipedia keeps surpassing my expectations. Despite the flaws of human nature, it keeps getting better. Both the weakness and virtues of individuals are transformed into common wealth, with a minimum of rules and elites. It turns out that with the right tools it is easier to restore damage text (the revert function on Wikipedia) than to create damage text (vandalism) in the first place, and so the good enough article prospers and continues. With the right tools, it turns out the collaborative community can outpace the same number of ambitious individuals competing. It has always been clear that collectives amplify power â€” that is what cities and civilizations are â€” but what’s been the big surprise for me is how minimal the tools and oversight are needed. The bureaucracy of Wikipedia is relatively so small as to be invisible. It’s the Wiki’s embedded code-based governance, versus manager-based governance that is the real news. Yet the greatest surprise brought by the Wikipedia is that we still don’t know how far this power can go. It is one of those things impossible in theory, but possible in practice. Once you confront the fact that it works, you have to shift your expectation of what else that is impossible in theory might work in practice. When you grow up knowing rather than admitting that such a thing as the Wikipedia works; when it is obvious to you that open source software is better; when you are certain that sharing your photos and other data yields more than safeguarding them â€” then these assumptions will become a platform for a yet more radical embrace of the commonwealth. Generation M is growing up knowing that Wikipedia works; to Generation M, it is obvious that open source software is better; Generation M, the Multimedia, Multitasking, Mobile Generation, is certain that sharing photos and other data yields more than safeguarding them. Both the weakness and virtues of individuals are transformed into common wealth, with a minimum of rules and elites. It turns out that with the right tools it is easier to restore damage text (the revert function on Wikipedia) than to create damage text (vandalism) in the first place, and so the good enough article prospers and continues. With the right tools, it turns out the collaborative community can outpace the same number of ambitious individuals competing. In other words, for Generation M, or maybe the generation after that, the tragedy of the commons can be overcome, the free rider problem can be overcome, they have seen the promised land: The collaborative community can outpace the same number of ambitious individuals competing. I have to repeat that. The collaborative community can outpace the same number of ambitious individuals competing. Read it and weep. With joy. Because it is just possible that future generations may not have to put up with the trash that we have. Author JPPosted on January 8, 2008 Categories Generation M, Opensource, Social software6 Comments on What have you changed your mind about?